The Park City area is an culinary delight. It has been written that Park City has more chefs per capita than Paris France. Park City has over 100 restaurants featuring Asian, European Continental, American, French, Mexican/Southwestern, Italian, and many other types of cuisine. Here are some of Park City's best choices for dining. 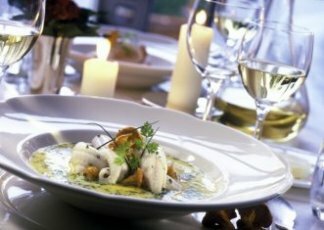 This "Four Diamond" establishment features superb American and Continental cuisine set in a charming Austrian decor. The Goldener Hirsch Inn Restaurant is an exceptional choice for a romantic dinner or a group celebration. * "Four Diamond Rated" by AAA for exceptional cuisine, service and an elegant dining experience"
Montage Deer Valley's signature restaurant, focusing on regionally inspired mountain American cuisine, Apex offers a relaxed yet refined Park City dining experience overlooking the slopes and trails of Deer Valley. A mountain side bar serves hand-crafted cocktails and premium wines, while offering live entertainment. Apex is casual by day, refined at night and always fun, approachable and frequented by locals and visitors alike. 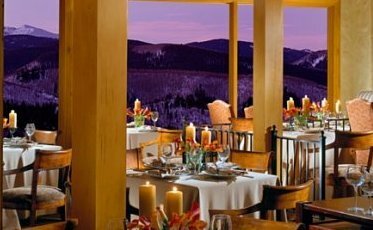 This Deer Valley restaurant also offers hearty breakfasts and lunches as well as a renowned skier's buffet featuring live action stations. Park City is sizzling with the new Ruth's Chris Steak House! Located in the elegant Hotel Park City with amazing views of the Wasatch Mountains, Ruth's Chris will dazzle mogul skiers, local carnivores, and distinguished hotel guests alike with its stellar cuisine and impeccable service. 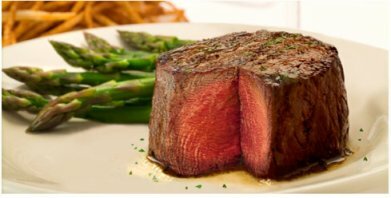 An ideal culinary experience for both business executives or romantic duos, Ruth's Chris Steak House can accommodate your needs in a rustic mountain lodge setting.